Twitter is a form of social media that allows it’s users to send and read small posts, known as tweets, that are up to 140 characters long. Twitter is used by over 150 million people and is a great way to keep your followers updated on the progress of your business. It is also great for marketing your products, and getting free advertising. If big businesses or celebrities with thousands of followers retweet your tweet you can get a lot of interest in you and your business. Opening an account on Twitter is very easy. Just go to www.twitter.com, click ‘sign up’ and enter your details. 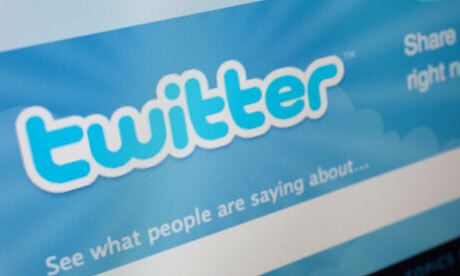 Once you have entered your basic details you can start using all the amazing features of Twitter. Start tweeting, follow other people and get people to follow you. For more detail, check out our second educational guide ‘Pack 2: Connect, Communicate, Share’. This is available here, or by logging into our website, and clicking ‘Resources’ on the left of the screen. Twitter is a micro-blogging site, meaning that it only allows you to post really short updates. You have to keep your update to 140 characters. To benefit from Twitter you need to make sure that you keep your update short, but make sure that it contains all the information that you want people to know. Due to the limit on the length of your tweet, Twitter is a great place to provide links to other pages. Write a blog and tell your followers about it on Twitter, providing a link so that they can go to your blog and read it. Use your 140 characters to tell people why they should read your blog and get them interested! When adding links to your tweets you might find that they are really long and use up most of the 140 characters you have. To solve this problem, go to www.bitly.com, copy your link into the box on the website, click ‘Shorten’ and the website will provide you with a really short version of your link. Copy this into your tweets and use the remaining characters to tell people what it is. ‘A picture is worth a thousand words’ – Rather than describing things to your followers it is good to upload a picture. Add a short caption so that people know what your picture is and then let the picture tell the rest of the story. Alternatively, upload a video of something to do with your business. Allow people to watch you at work, or use your video to tell people what you are doing. To be successful on Twitter you need to get as many people as possible to follow you. These are the people who will see all of your tweets. To increase your followers, use hashtags (#) in your tweets. If you hashtag particular words (e.g. #twitter), people can see them when they search that word. If you tweets are interesting, these people will them follow you. You can also follow other people, or retweet their tweets. The more you do this, the more likely they will follow you or retweet you. If people with thousands (or millions) of followers retweet your tweets, links and pictures, you will get a lot of interest from around the world, and this is very effective free marketing. To get an idea of what to do, and to keep up to date with the School Enterprise Challenge, follow us – just search @schenterprise on Twitter. This entry was posted in Uncategorized on July 31, 2013 by School Enterprise Challenge. This week we are looking into the first of our educational resources, Pack 1 – ‘Welcome, Discover, Participate’. This pack can be found on our website with all of our educational resources. Just click here, or login to the website and click the ‘Resources’ tab on the left of the screen. Part of this pack will show you how to form your team, and in this blog we are going to share some top tips for teamwork! To be a successful team, all team members must have a particular task that they are responsible for. If your managing director controls everything then there is likely to be something that they forget, or something that they do wrong. It is therefore important that you delegate. Appoint a managing director, and then directors who are in charge of different parts of the business. But don’t stop there! If you have a large team you can appoint managers who work under each of the different directors. For example, you may have a marketing director who is in charge of marketing, but then working in the same department you can have a market research manager and an events manager. Delegating all of these responsibilities will ensure that each one is done very well, and is the key to a successful team. It doesn’t matter how many people are in your team or what departments you want, you can create an Organogram that is specific to your business. Remember, this one is just an example. The Organogram shows who your directors and managers are and shows who reports to who in the business, and is great for creating a solid management structure. Finally, a good team needs to communicate regularly, and this is best done through regular meetings. 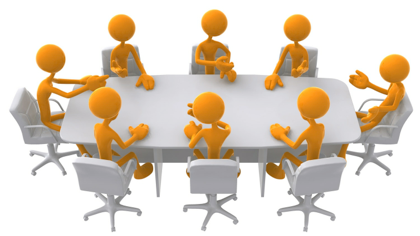 Part of the role of the managing director could be to schedule and run these meetings. Regular meetings are a good place for the whole team to get together, especially if your team is very large, and keep updated with each part of the business. For example, if you are focussed on marketing you may not know what is happening in production. Meeting are also a great place to plan your next move in the business. Are you going to expand your range of products? Expand your marketing? Change your production process? These are decisions that need to be made by everyone, and regular, scheduled meetings allow everyone to get together and decide these things. Now that you know all about teamwork, access Pack 1, form your team and get started with your business!! This entry was posted in Uncategorized on July 18, 2013 by School Enterprise Challenge. Weekly Theme 14: Are You a Social Entrepreneur? In the next few weeks these blog posts will be based on our educational resources. This week we are looking into Pack 1, called ‘Welcome, Discover, Participate’. This pack can be found on our website with all of our educational resources. Just click here, or login to the website and click the ‘Resources’ tab on the left of the screen. Part of this pack will show you what it takes to be a social entrepreneur! Social entrepreneurs are individuals with innovative solutions to society’s most pressing social problems. They are ambitious and persistent, tackling major social issues and offering new ideas for wide-scale change. A social entrepreneur will consider people and the planet, as well as their profit. This business spotted that school uniforms and bags were expensive, so came up with an innovative solution. They produce bags and uniforms at a much cheaper price than previously available, making them more affordable for local families. They also employ nine workers from the local area. Do you think there are any qualities of a social entrepreneur that we missed out? Go to our Facebook page, tell us what you think makes a social entrepreneur and join the debate! This entry was posted in Uncategorized on July 11, 2013 by School Enterprise Challenge. Weekly Theme 13: Get Started with Blogging! A blog is what you are reading now! It is a type of social media that allows you to write posts on a regular basis that can be read by anyone on the Internet. Blogging is a great way to keep people updated about the progress of your business. It is a brilliant way to connect to people locally and globally, to market your business and sell your products or services. We are running a Commonwealth School Enterprise Challenge blogging competition! Each month we will award a prize of a Teach a Man to Fish goody bag to the school that produces the best blog post. We will also feature the winning posts on our website. This is a chance to win recognition for your work and get a global audience for your enterprise. It is essential that you update your blog at least once a month so that you have a chance to win. Go to: www.wordpress.org. Click on ‘Get Started Here’ and follow the instructions for setting up your blog. When it is set up, start writing and tell as many people as you can about it! For more detail on starting your blog we have produced a guide to using social media, called “Connect, Communicate, Share”. This guide will be available on our website soon, just log in and go to ‘Resources’. Or click here. Blog Regularly – You should aim to write at least six blog entries – one per calendar month – for the duration of the competition. Length – Each blog should be between 300-500 words long. How you have come up with your business idea. The progress of your sales. How you are producing your product or service. Any events that you have run. Photos of your team members, or a video of them introducing themselves. Photos of your production process or a video of it in action. Photos or videos of events that you run or take part in. Photos or videos of you selling your products. So, now you know about blogging get online, start a blog and start telling the world about your business! Update it regularly and keep an eye out for announcements about the blogging competition! This entry was posted in Uncategorized on July 4, 2013 by School Enterprise Challenge.